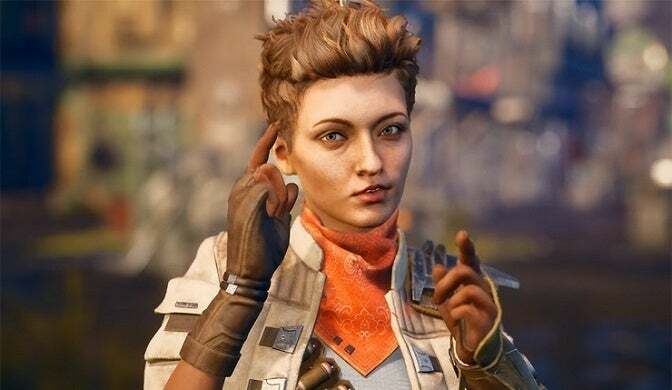 New details on The Outer Worlds’ companion system have been revealed by Obsidian’s co-directors to explain how the feature works and what all players can do with their companions. Companions have been a core part of past Fallout games like Obsidian’s Fallout: New Vegas, so it makes sense that players would expect a similar system in The Outer Worlds which has already captured the attention of those Fallout fans. The game does have companions in it, a fact known since it was revealed, but players don’t have to use them, Obsidian told Game Informer in an interview. Answering a question about whether or not these companions were necessary, The Outer Worlds co-director Leonard Boyarsky said it was up to players if they wanted to use them. Should players choose to stick with them though, they can embark on unique quests that each companion offers, and if those quest lines are finished, the companions’ combat abilities will be improved. It was also mentioned that these companions won’t die permanently unless players are playing on the most challenging difficulty level. “They die during combat, or they go unconscious during combat” Boyarsky said. “In Supernova, they can die, in the very hardest difficulty. One of the main reasons why players might not choose to use companions in certain games is that they want to play as a sneaky player who works best alone without having to worry about a companion rushing into battle. Obsidian seems to have anticipated this though with Boyarsky also adding that companions won’t blow a player’s stealth. The Outer Worlds is scheduled to release in 2019 for the PlayStation 4, Xbox One, and PC.